In May 2015, President Joko Widodo’s claimed that all official barriers preventing foreign journalists from entering West Papua had been removed. Nonetheless, government officials such as Chief Security Minister Purdijatno and Defence Minister Ryacudu have stated that journalists will continue to be monitored and snooped upon so to guarantee that they produce “good reports”. Furthermore, they have equated with sedition any reports that portray Indonesia’s actions in West Papua in a negative light. UNPO has already shown how the new permission procedures for journalists in West Papua, despite the apparent simplification, are still quite complex. It appears to be business as usual this week for Indonesian government officials intent on maintaining the decades-long restrictions on foreign media access to the far eastern provinces of Papua and West Papua. Ryamizard’s solution for foreign media whose reporting displeases the government? “We can easily expel them,” he said. Tedjo and Ryamizard’s comments are more than repugnant expressions of contempt for media freedom. They blatantly undermine Joko’s May 10 announcement of an immediate revocation of restrictions on foreign media access to Papua. That was a much-anticipated change Joko signaled in his election campaign last June when he stated during a stop in Papua that the government “has nothing to hide” there. Joko’s initiative was aimed at removing the official obstacles that have long prevented foreign media who manage to get permission to enter Papua from freely reporting. The government rarely approves requests to visit or delays processing them, hampering efforts by journalists and NGOs to report on breaking events. Journalists are invariably shadowed by official minders who control their movements or make it difficult to interview people privately and without fear of consequences. 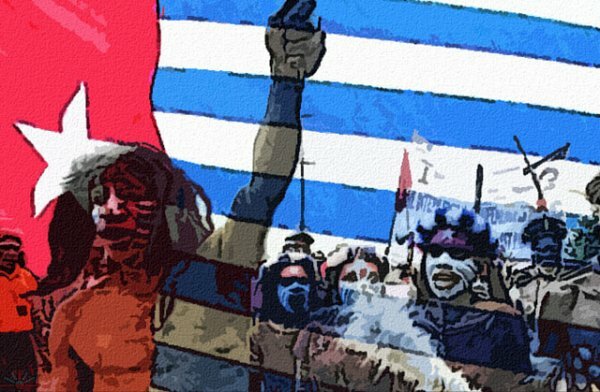 The government has long justified those controls as a necessary security precaution due to the ongoing conflict with the Free Papua Organization (OPM), a small and poorly organized independence movement. The government also consistently arrests and jails Papuan protesters for peacefully advocating independence or other political change. Joko’s initiative to allow foreign media to freely report from Papua indicates that he sees media freedom as part of the solution to Papua’s toxic combination of political repression and impunity. The willful ignorance or outright hostility of key ministers such as Tedjo and Ryamizard will doom that plan unless Joko addresses their obstructionism head-on. The president should start by issuing an explicit written directive spelling out Papua’s new media freedoms and the obligations of government officials and security forces to respect it. Until he does so, media freedom in Papua will continue to be held hostage by those who prefer Papua’s truths remain hidden rather than reported.